We hope to create a tightly knit community based on active discussions on various topics ranging from General Debates to Graphics, Gaming, Computing, Webmastery and even more. The community is friendly, warm and welcoming. We are open to all ideas, support and feedback. We strive to create a forum where the staff members actually listen to the users and care about the environment. We've made several changes to the reputation system, forum layout, userbars but we might as well inform you that we're not based on money making by selling groups, awards and 2 tier upgrades to make money but let the forum die of activity. We've also revamped several forum sections so they are easier to navigate, and easier for people to post and keep the sections active. We started a 2 to 3 weeks ago and already have great activity and we have daily visitors, contributors, both friendly members and staff who are willing to help you where you need. We have promising activity and Administrators who are willing to put time and effort in the forum, which you can already see evident from our work on some custom features and the theme. Refer your friends and what, they might be just interested in staying. 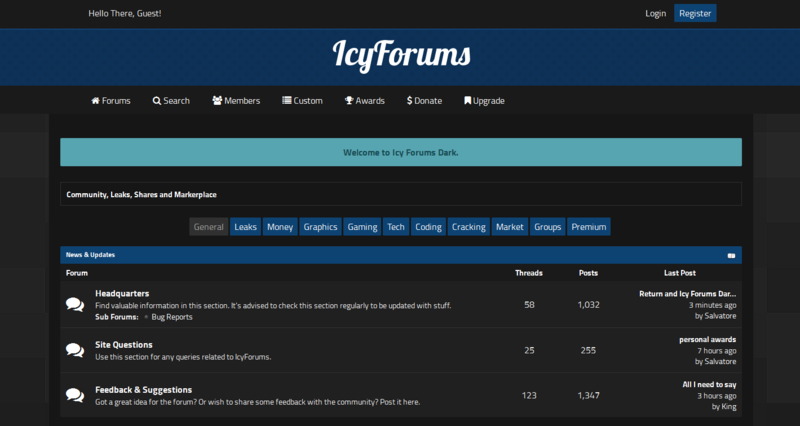 I have been the owner of previous forums, The Tech Players, Rockstar Boards, IcyForums and Real Forums which have been highly active forums with longtime standing, so I am a man of my word and I strive to keep this forum running as long as we can. Our members have made a total of 13,394 posts in 1,094 threads. We currently have 197 members registered.